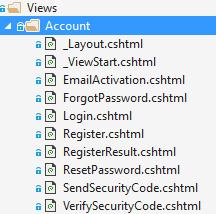 AccountController provides login, register, forgot password and email activation pages. 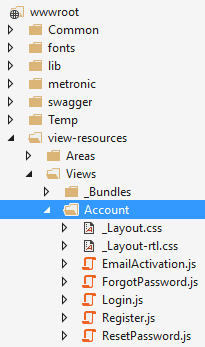 As similar, all views of the application have corresponding style and script files under wwwroot/view-resources folder. The tenant selection section above login section is only shown in a multi-tenant application and if "subdomain tenancy name detection" is not possible (See host settings section). 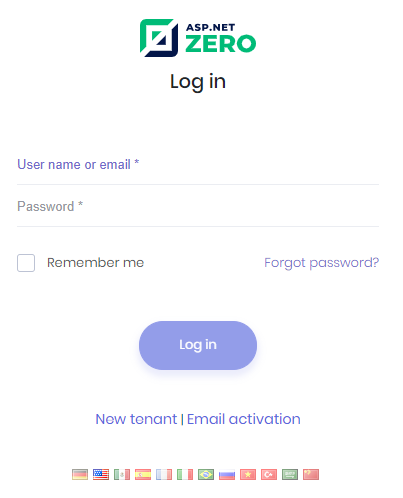 When we click Change link, tenant change dialog appears and we can change the tenant. There is a single tenant named Default in the initial database (See Entity framework section for initial seed data). Leave tenancy name input as blank to login as host. 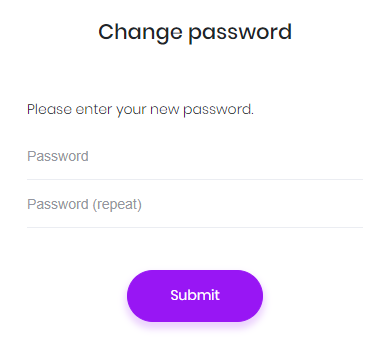 After changing password we are redirected to the backend application. Users are lockout when they enter wrong password for a specified count and duration. You can configure lockout settings in the settings page of the application.